Hello gorgeous! That’s what the most demanding dealers and auto enthusiasts are saying about Deluxe Classic Black. 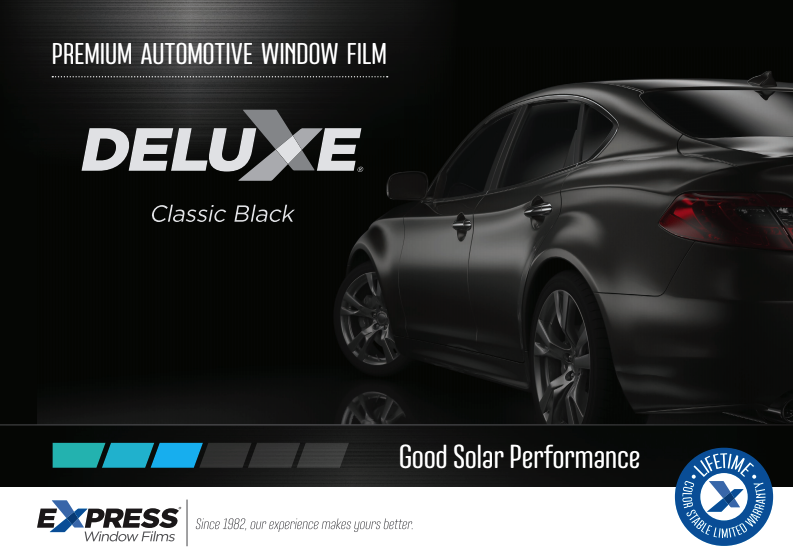 Custom-specified by Express, its stunning carbon/black look is turning heads, and its lifetime color stable warranty is turning installing dealers and their customers into believers. © 2017 Northside Window Tinting | All Right Reserved.